You will find a lot of Prime drivers on here, so you can talk to them. I do know that their training program is highly rated and that is something to consider. That's why I have decided to pursue a job with them when my current "job" (I take care of my dying grandmother) is complete. It doesn't matter how much they start you at if you end up in some horrible wreck. At least for me, I want to go where I will be trained the best, and I think that's the best thing a rookie driver can ask for. I know a lease driver team that is totally sick of the business end of the deal they signed up for (he is a long time 20+ year veteran and she is closing in on finishing her first year) and even though they are really bummed out on the money they're making as lease drivers, they still say it's the place to go for your training and to be a company driver for at least the first year. When you talk to people who are planning on leaving over money and they still say, "There is no way I could ever rag on their training," then you know the training is good. I should point out they are upset at the money they are clearing as LEASE drivers and not company drivers. 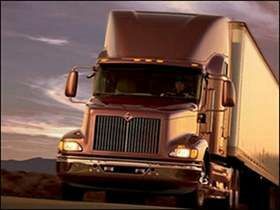 All the vets on here will tell you not to lease until you really have mastered trucking and know the ends and outs of the business, and I believe them. Of course, take what I say with a grain of salt; I am not yet even a student, but I have been hanging around here a while and researched the business extensively in my spare time. If you find a company that interests you in the link to the reviews of companies listed above, be sure and check out their websites. There are some bonuses you can earn a lot of times that I have found missing from some company reviews. Also some companies come right out and tell you on the websites just what benefits they have and how much they either cost or costed on the last year they have data for. Benefits are a huge thing to consider. Personally, I wouldn't go to a company that didn't have long term disability insurance. In trucking you're a failed physical away from being out of a job. I fought Social Security once on a disability case and damn I would have been homeless by the time I would have ever got it if my relatives didn't end up needing long term care givers. It was like three years from the time I applied to the time I got a hearing to the time the judge wrote a decision. There is no way I would risk that again. New Podcast Episode 6: Do You Have What It Takes? Absolutely loved it. The one trait that I don't have is one you said will develop--nerves of steel. I hope it's true that it will come in time. I have had a few close calls in my vehicles and I sure can't say I handled it with nerves of steel, although I did manage to push onward. I hope that will come in time when I do hit the road. Brett, once again thanks for this great podcast. There are non tobacco using truckers? I sorta figured that tobacco use would be high among truckers, but knowing corporate culture it wouldn't surprise me to be told many or most had banned smoking in a truck. They probably haven't since it would be near unenforceable. Probably the high rate of smoking is do to a combination of Alpha Dog mentality (it's cool and rugged so I'll do it and no one can make me stop), stress, and a little boredom thrown in. I can imagine when you get away from population centers and traffic is extremely sparse and there is little to see one can get bored and it being just something to do. I know I tend to smoke a lot more when I am either stressed out, bored, or fatigued. @Errol: OK, I am glad you were straight about the comfort zone map. I also read Old School's post about not refusing runs, but I was assuming (and you know what they say about assuming, so thanks) that with me being "extra flexible" on the comfort zone thing NYC wouldn't be a problem. I am happy to know up front that a refusal is a refusal like any other company. I was assuming (there it is again) that Swift was a little different. Thanks for the info. I wouldn't consider turning anything down then with that knowledge. @Brett: You know, not going out with a pet until you have a good bit of experience makes a lot of sense. That's responsibility on top of responsibility. I am glad you brought that up. Thanks for the links also. One of them I have read; the other I will check out. @G-Town: Thanks for bringing up the point that my fellow roommates are going to have to sleep on a moving truck, so they had better be able to tolerate my machine. I was envisioning a soap in socks party for me by the third evening. I guess it is fair then to expect them to room with me and live with it. Overall, even though comfort zones don't work in practice, Swift still has to be considered for the large percentage of drop and hooks. Man that would be nice for year one and maybe two. I have to admit I hadn't considered Swift much before because I want a furry little (or not so little) co-pilot, and I had read about their accommodations and such during training and it really doesn't appeal to me like Prime or Roehl. I mean sharing a room with three other dudes with me on an S-Pap machine which I found out I needed in Friday's sleep study is going to be a bit tricky. An S-Pap machine is like a C-Pap machine but they're for people who have had issues like asthma or COPD now or in the past. I had a mild case of asthma starting up back when I was smoking two-three packs a day about four years ago before I cut way down, and haven't had an attack since but I do still carry a rescue inhaler just in case. The doctor who did the study insisted on S-Pap just to be extra safe. Anyway, S-Paps are louder than C-Paps and I doubt anyone is going to want to bunk with me. Maybe if I were to go with Swift I could work something out to pay something for a private room. The reason Swift is suddenly in the running after having it narrowed down to Prime and Roehl as my hopes of choice even though I couldn't have a pet is that I read about their comfort zones and just how much of their freight is drop and hook. I am thinking this could be a real help for a rookie for a while. I just couldn't stay there forever though as I know I would get super lonely in that truck in time without a four legger to keep me company. As far as what comfort zone I would take I would be really flexible. I would just ask to try to keep me out of New England as much as possible and I would love trips out west from time to time when they can be worked in. The only thing I would consider actually turning down flatly would be NYC but I would be honest with dispatch and tell him/her if they're in a pickle I'll go. Is it fair to do this with a company, especially since Swift does charge for CDL School and I wouldn't be there long enough to recoup my costs they pay back in weekly installments? While this man may have gotten off on self-defense and I have no reason to believe it was anything but due to the report, it is very likely the end of his career, or at least his tenure with the company he is currently running with. There are very very good reasons for carrying a gun, but not everyone is cut out for caring one. It's not just a matter if you can hit the target but also if you have a temper, gets scared easily, or just are not comfortable with taking someone else's life. Unfortunately in this business there aren't many people who can carry a gun in a truck and be in compliance with both the law and company policy. So you have to be prepared to deal with the consequences whatever they may be. Haha! I am so old that I remember when big trucks didn't even have power steering. They had these huge steering wheels to help you get some leverage. We still have pretty large steering wheels because of that, but not like the one I had on the old GMC class 8 truck I had back in the day. I remember Grandpa's truck and it had a giant steering wheel. It would put to shame the ones today. As a matter of fact the yellow school bus we went to school in had ano even bigger wheel that came straight up out of the floor. We had a few women drivers and one man over the years that wasn't able to control it over the back roads we went that were cut into the side of the mountain. Uneven road ways, Chuck holes, and sharp turns ended their careers in a day or two. One time one couldn't hold on and correct direction and we ended up with the front wheels of the road and the rest of the bus just a few feet from plunging down the hill to our doom. I will say that manual steering gave Grandpa tremendous upper body strength. He only ever whipped me once and I deserved it. I got the revolver out from under his pillow and shot through the celing. I was plenty old enough to know better. I never did anything to get a spanking from him again. I guess trucking is a bit like an airline pilot told me flying was once-- 90% utter boredom punctuated intermittently by 10% utter terror. I knew trucking was dangerous but had no idea it ranked in the top 10 most dangerous professions. I would be curious to know if they are counting injuries in that and also non-driving deaths and injuries such as falling of your flat bed trailer or the steps to the truck. There is a husband and wife team that has a YouTube channel and I love watching them because not only are they funny but they are obviously in love and are a perfect match for one another. He has been in trucking 20+ years and she's been in for going on two. I won't say the name of the company they drive for, as I don't want to get them in more trouble than they already are, as they received a cease and diciest order from the company to stop using the name of said company because the channel contains adult humor. I don't blame the company one bit because of image and all, but by far the good press versus bad press generated for the company by those two was lopsided to good. Anyway, in every video he opens by screaming at her when she doesn't expect it. She jumps and there is always a good laugh. At first this wasn't a problem for me because he was always driving. In time though he started doing this while she was driving. That ain't cool in my book. I have befriended them on Facebook and brought this up with him privately through chat. The answer I got was she's experienced now and can deal with it. I dropped it, but some day she is going to swerve and hit someone as she is truly startled. They have a plan to leave trucking soon and for both their safety I hope it is sooner rather than later. Hi all. when doing the Swift 200 hour road training do they give you time at home. the reason i ask is when the monthly bills come in i want to be able to pay them on time. I don't know the answer to that specific question, but I may have a solution. Do you have a trusted friend or family member you can either add to your bank account as a trusted signer and have them either pick up your mail or forward it to them. For added protection you can designate two people as Power of Attorney that can act on your behalf but must both sign off on everything. In Ohio you can limit the scope of their powers and the powers are laid out in an itemized list. You can get a POA form at your local office supply store. My first question has to do with oversized loads (wide, tall, heavy). In THR we are told that these cannot move on Sat. Sun. or any holiday. Is this just in IL, as I have direct experience that contradicts this. I live on a long steep grade of a hill. The up hill run is north; the down hill run is south. When trucks used to try and climb the hill they would impede the flow of traffic and if you were to try and come down if your breaks failed there is nowhere to go where you are not going to die and likely you're going to take others with you. For these reasons, and because we're a designated emergency evacuation rout away from the heavy industry park a couple of miles away, trucks are banned on this stretch of road. For some reason though the oversized loads are brought down the hill and it is always on a weekend in the mornings. Now, I would swear it was my mind playing tricks on me and believe I was just wrong on the days, but I know for a fact that is true based on two occurrences. One was this past summer when I met a wide load truck and his accompaniment as I was on my way to Mass on Sunday morning. I only go on Sunday mornings so it had to be Sunday morning around 10:00am. He was coming down and I was going up and I ended up having to back all the way down the hill about 800 yards or so. The other time I am absolutely 100% sure of was known in Cincinnati was an "event" called The Convoy. There were three separate trucks they brought down. They were so large it got news coverage and how I know it was a weekend was that Jerry Springer had just gotten on as a weekend reporter with local station WLWT after a fall from grace as mayor. These things were so huge they had to take down most of the overhead utility wires. Anyway, they filmed the thing from my front yard and after it was over Springer knocked on the door and asked to use the restroom and of course we let him. I actually ended up on the news because they thought it would be cute to see what a little kid thought of the big trucks. If it would have been through the week I also would have been in school, as I never missed school. As I recall they had something to do with filtration of either water or beer. The truth is it seems like all the time they bring oversized loads down is on the weekend. There is way too much traffic during the week to do it any other time. The other two questions have to do with tires overheating and fires. There were several questions which said if the tires become over pressurized to cool them with water and not let pressure out of them. OK, in a perfect world that would be nice, but unless I am pulling a reefer full of bottled spring water just how does that work? If I will be crossing the desert I will be sure to bring enough water to survive until I am rescued, but your not going to fit enough water in the cab to cool 18 hot tiers. Wouldn't the proper thing to do be to let the pressure out of the tires till specs are reached and move on until the first truck stop you see and pull in there, hose them down, and put in more air? Wouldn't that be a better way to prevent a blow out? The other thing was tier fires. It says to put them out with water. Again, we don't have that much space and I have personally witnessed people trying to put out a burning tire that was around someone's neck when my family took me on a missions trip to Haiti and civil unrest broke out. They called that practice Necklaceing. Pretty common there. The guy died before they got the fire out and they put a ton of water on him trying to save him. He was lashed to it somehow so they couldn't just knock it off of him. Anyway, if a trailer tire does catch fire should you try to drop the trailer so both are not lost since you're not reasonably going to have a shot of putting it out? I am loving The High Road too. I am doing great and loving it. Many thanks Brett. I have yet another question - blood glucose requirements in passing a DOT physical? Thanks Doc. I really am glad you posted since I am type II and needed that info as I was under some false impressions and thought I would be OK. I have a doctor's appointment next week and am going to ask for a referral to an endocrinologist. I am sorta sick of playing around with my PCP. She hasn't tested my A1C in well over a year and a half. I am also bookmarking this post. Another one is DISH Texas. I think that might be the town that got free telecommunications service for changing their name to that. I seem to remember something about that. When I grow up I want to be just like Old School. Seriously, Old School's attitude is great. The sad fact is those two drivers who refused the loads are likely to be on YouTube soon moaning how Knight is some gowd awful company and scaring people looking for a career in trucking with a good company. We have a wooden ship called "The Queen of the Seas." Every week two pieces of wood are removed and replaced until five years later every piece has been removed and replaced. Is this ship still the ship called "The Queen of the Seas?" Now, what if another ship was constructed out of all the wood that was removed from "The Queen of the Seas." Is this new ship "The Queen of the Seas" or is it a new ship entirely? I hope you didn't think I was leading the guy down the path of, "The grass is greener in other pastures." As the first sentence of my post said, "I am not trying to push you out the door..." I was merely trying to point out information which is here on TT. I did go back and check and the company I was thinking of was Roehl. They do send you out with a trainer, but you are not dispatched as a team. I had a serious concern when the OP said there was no way he could sleep while his trainer was driving. As we all know a drowsy driver is a dangerous driver, whether it be a big rig or a car. If you guys say he'll get used to it, then I believe you. What company are you with? What is in your contract? Did you not know you were signing on with a company that ran teams? He may very well have known they ran teams in training but never having experience trying to sleep with the wheels rolling he would have no idea what to expect. I can see where he's coming from. I can't sleep in a car unless I am so tired I pass out. I don't mean to push you out the door of where you are at, but if push comes to shove look up Roehl and Schinder in the reviews here. One of them doesn't dispatch the trainer trainee as a team, and I think it's Roehl, but it's one of the two. Everyone here says one year at one job, but if you truly can't sleep that's a safety issue. Be aware though Roehl doesn't hire for all 48 states. I haven't traveled much in my life: Rabbit Hash, KY Isis, OH-Just a wide place in the road AIDS Run, OH---Another wide spot in the road. Ground Hog (woodchuck) hunting is great there, even better than any part of PA. I am convinced Swift gets so much bad press simply because they're so big and have so many people who either work for them or have tried to be trained by them. Do a Gogle on truck driving schools and there's an add for them the first thing in the list. That's how big they are. Increase the numbers of apples in the bunch and you're going to get more and more bad apples. You will hardly ever hear success stories on YouTube because the ones who are successful don't sit around gripping because they're too busy working. To give an example there was a lady who went to Roehl and after a couple of post singing their praises she was singing the blues on how it was the worst. Then she went to Prime and it was great for about a month. Whats her job now? She is trying to make a living off YouTube content advertising work at home jobs. Well, good luck with that. If those jobs were so great why doesn't she take one and do the YouTube thing on the side? Simple, she doesn't want to work which it seems is more and more common these days. I am NOT saying that's anyone here. But that is how the Internet grapevine works. Thoughts on Western Express lease/purchase program? Funny Rick and I were discussing this very thing today on the phone. I agree COMPLETELY with not4hires statement. It is just bad business to lease equipment from the same people that control your paycheck!! Kinda like renting to own your home. What sense does it make to be making payments on something that is not in your name? People rent to own their house for only one reason that is even remotely logical---their credit is so poor they can't get a loan. My rather goofy aunt went bonkers over this idea about 30 years ago and she had stellar credit She got burned too.